a Snail’s Trail Quilt for the Fat Quarter Shops Classic and Vintage Series. I always have a good time with the Classic and Vintage Series from the Fat Quarter Shop. This Snail’s Trail Quilt was no exception. It was fun to pick random red, pink, orange and grey fabrics to create this unique twist on the classic. There are so many unexpected combinations in there that each piece of fabric reveals something new! Of course … I finished binding it earlier this week at my daughter’s softball game (happy summer)!!! How many other softball mom’s are out there with a quilt, thread, needle and thimble cheering their kiddo’s on this summer?! Head on over to the Jolly Jabber to see what other blogger’s did with this Classic and Vintage Quilt Pattern and see how you can join in the fun! 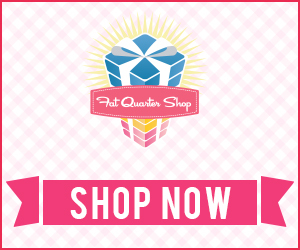 PS – the Fat Quarter Shop’s Birthday Celebration Flash sale is still happening! Head over now to make sure you don’t miss any of the fabulous deals! You seem to have some broken picture links, including your header. I like your quilt – very different coloring.